Collusion vs. Obstruction: Did the Mueller Report Really Exonerate Trump? On Sunday, President Donald Trump took to Twitter to express his satisfaction with the conclusions of Special Counsel Robert Mueller's investigation. "No Collusion, No Obstruction, Complete and Total EXONERATION. KEEP AMERICA GREAT!" he wrote. But Trump's tweet is not entirely accurate. 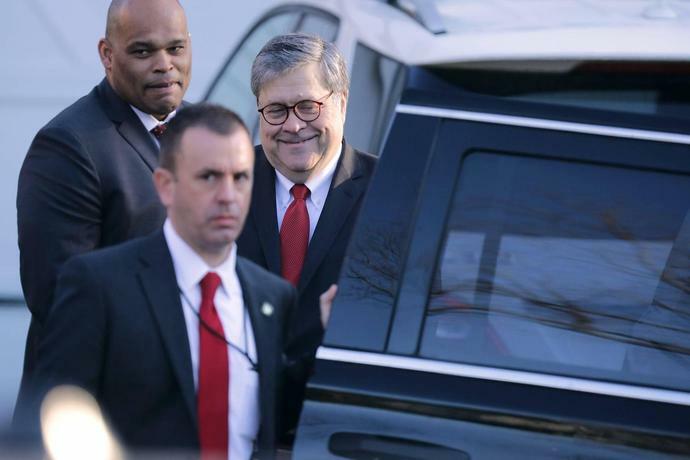 Attorney General William Barr sent a letter to Congress on Sunday detailing the principal conclusions of Mueller's report, which he breaks down into two parts. Mueller was not consulted on the letter, and his own report has not been made public or shared in full with Congress. Read Barr's Mueller report summary PDF here. The first part reportedly looked into Russian interference in the 2016 presidential election and whether there was collusion between any member of the Trump campaign and the Russian government. On this, Trump's tweet is correct: Mueller concluded that "the investigation did not establish that members of the Trump Campaign conspired or coordinated with the Russian government in its election interference activities"-in other words, no evidence of collusion. The second part of the report touched on concerns of obstruction of justice on the part of Trump. But this is where things become a little muddy. Barr explains in his letter that Mueller "determined not to make a traditional prosecutorial judgment" on the issue, noting that he "did not draw a conclusion-one way or the other-as to whether the examined conduct constituted obstruction." Mueller reportedly set out evidence on both sides and then left the matter unresolved, which according to Barr means that it is up to him to determine whether the "conduct described in the report constitutes a crime." In the 48 hours since Barr first received the report from Mueller, he and deputy Rod Rosenstein went further in Trump's favor, and have "concluded that the evidence developed during the Special Counsel's investigation is not sufficient to establish that the President committed an obstruction-of-justice offense." While Barr and Rosenstein were quick to come to this conclusion-the one which Trump appears to be tweeting about-it does not mean that there was no obstruction of justice at all, nor does it mean that Mueller's report exonerates Trump. In fact, Barr directly quotes Mueller's report in his letter, which says, "While this report does not conclude that the President committed a crime, it does not exonerate him." As such, Democrats are not satisfied with Barr and Rosenstein's conclusions. "The fact that special counsel Mueller's report does not exonerate the president on a charge as serious as obstruction of justice demonstrates how urgent it is that the full report and underlying documentation be made public without any further delay," House Majority Leader Nancy Pelosi and Senate Minority Leader Chuck Schumer said in a joint statement. "Attorney General Barr's letter raises as many questions as it answers," the statement reads. "Given Mr. Barr's public record of bias against the special counsel's inquiry, he is not a neutral observer and is not in a position to make objective determinations about the report." Furthermore, Trump's claim of complete exoneration "directly contradicts the words of Mr. Mueller and is not to be taken with any degree of credibility." Beyond the Democrats' commitment to further probe the matter of obstruction of justice, Trump is still not out of the woods. Barr's letter notes that Mueller has "referred several matters to other offices for further action" and federal prosecutors in Manhattan are currently pursuing at least two criminal inquiries involving Trump or people in his circle.